When it comes to the different types of chihuahuas, there are only two official different types of chihuahuas. The two types being categorized by their coat length, the long haired and short haired chihuahuas. Although that being said, there are a few other unofficial different types of chihuahuas that aren’t recognized by the AKC as any official type. So for the sake of making things simple and easy to understand, we still call them a type of chihuahua. The differences are quite easy to tell just by looking at them so let’s take a look at the different types there are. The apple head chihuahua, being the most common type of chihuahua dog is categorized and identified by the similarities of an apple, just a little less tasty and more furry and cute. 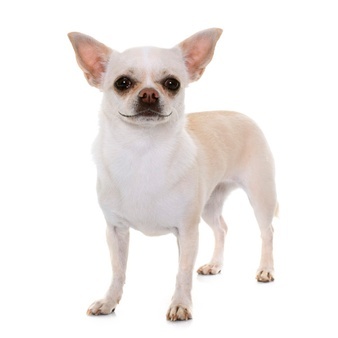 This type of chihuahua is the breeds standard, recognized by the AKC. 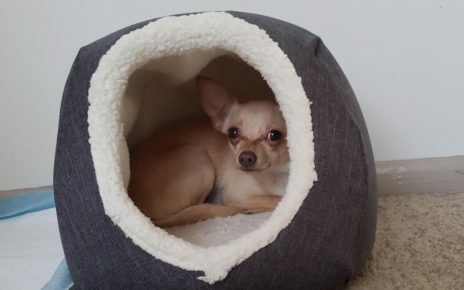 Some characteristics of the apple head chihuahua include: The rounded apple shaped skull that is much larger on the top portion of their head which resembles an apple. The much shorter snout is another characteristic of the apple head chihuahua. If you look at the area where their head and snout connects, you will see a prominent dip or a “stop” which is almost exactly a 90 degree angle. One of the best features of the apple head chihuahua is of course their bulging eyes. The eyes that you can’t say no to when they’re looking at you and begging you for a treat. Just be careful not to let them think they can rule the house by their big bulging puppy dog eyes. Another thing that is very common in apple head chihuahuas is the molera or a soft spot that appears on the skull of the chihuahua. Normally the soft spot will go away after around 4-6 months although it is not uncommon for the molera to stay for much longer than that. So just be careful that the chihuahua isn’t knocking it’s head on any objects that may hit that area. The temperament of the apple head chihuahua has no difference from its counterpart. the only thing that matters is how well you train it with some exception to what type of temperament it’s parents had. The deer head chihuahuas may not be recognized by the AKC as the breed standard for the chihuahua, but that doesn’t mean we still don’t love them. The deer head chihuahuas are recognizable by their longer muzzles and skull structure shaped similar to a deer. Deer head chihuahuas are typically a bit larger in a few aspects to their counterpart such as longer legs. A few other characteristics that are larger include a longer muzzle and jawline and typically have longer necks than the apple head chihuahuas That being said, it doesn’t mean that deer head chihuahuas are normally larger than the other, they may often be even smaller. The coating of the deer headed chihuahua may be short hair or long hair and is typically fawn colored but can also be black tan or white. 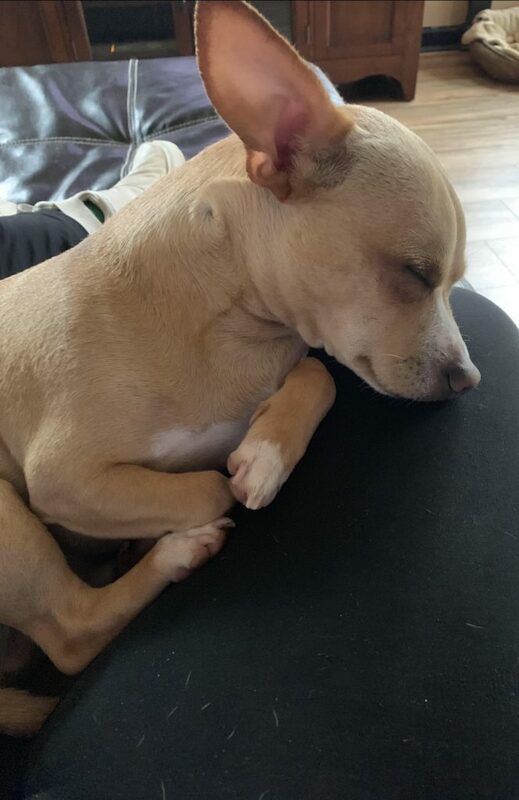 The area where the forehead connects to the snout has about a 45 degree angle unlike the apple headed chihuahua which has about a 90 degree angle. Like the name implies, the short hair chihuahua has a smooth short coat. 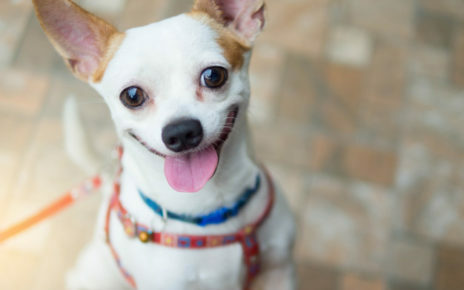 The short hair chihuahua comes in many colors such as the typical brown, tan or fawn, white, black, blue, red, or silver that often aren’t just one solid color, many of the colors may be mixed or spotted on a single chihuahua. The short hair chihuahua is recognized as one of the two official “types of chihuahuas” or “breeds of chihuahuas” by the AKC. The short coated type came first that originated from the techichi dog which can be dated back to as early as ninth century carvings by ancient Mayan civilizations that strongly resemble chihuahuas. Although this type of chihuahua has a short coat, that doesn’t mean that it doesn’t shed. In fact it may shed more than many other longer coated dogs. Luckily there isn’t much size to the hair which could tangle up a vacuum cleaner. Regular grooming habits can keep most of the shedding inconveniences in check. 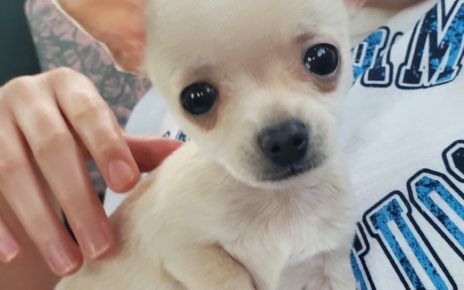 The behavior of these types of chihuahuas has no difference in the typical behaviors or health of their counterpart and both make a very loving and loyal pet, it’s up to you to raise and train it correctly as both types of breeds of chihuahuas can come with massive personalities. The other official “type of chihuahua” recognized by the AKC is the long hair chihuahua. The type is identified by their more beautiful longer coat which may vary in size all over their body. Some have more excessive growth around their ears and neck while having slightly shorter hair length on other parts of their body. While other long hair chihuahuas just have long hair growing all over the place. 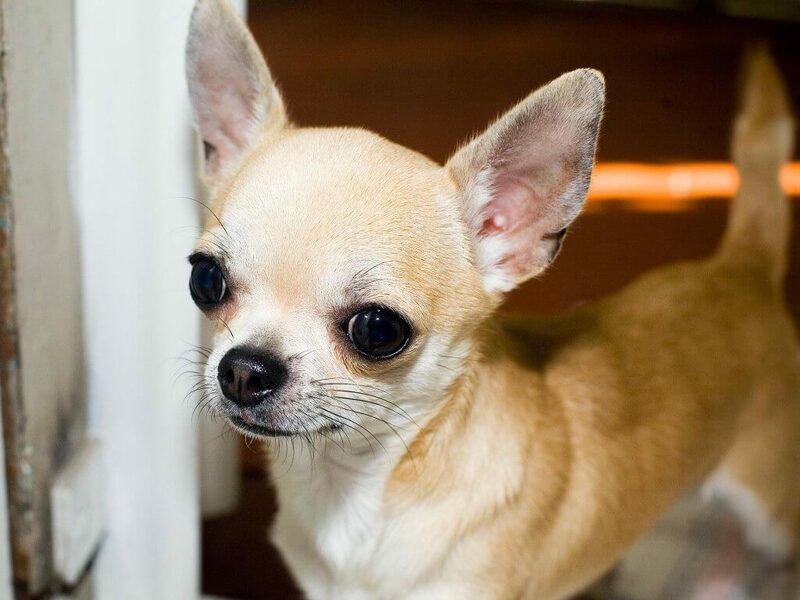 This type of chihuahua may come in many different colors such as beige, tan, fawn or brown, red, white, black, grey. Not all of them come in straight solid colors, some may be spotted or speckled or have beautiful designs of different shapes made visible by the separate colors. Grooming your long hair chihuahua takes much more time and effort than the other, shorter coated type of chihuahua. As you would expect, the long hair attracts all types of dust and dirt or any kind of light weight objects such as grass or leaves from outside. It’s important to not be lazy while owning this type of chihuahua as putting off regular grooming habits can quickly become a nightmare to fix. Regular brushing at minimum about once a week may maintain a healthy coat and upwards of a few times a day of brushing may be required depending on how messy your little companion can be. Checking for mats or tangles should be a regular occurrence and if caught early can be an easy fix. For more stubborn mats or tangles, a simple bath and a bit of focus on the tangle should fix it right up. If the knots are too stubborn to untangle you may need to cut them off. The behavior of the long hair chihuahua typically has no difference than the other type of chihuahua. If the chihuahuas behavior is troublesome, you may need to change some training habits to make sure any problems don’t persist. 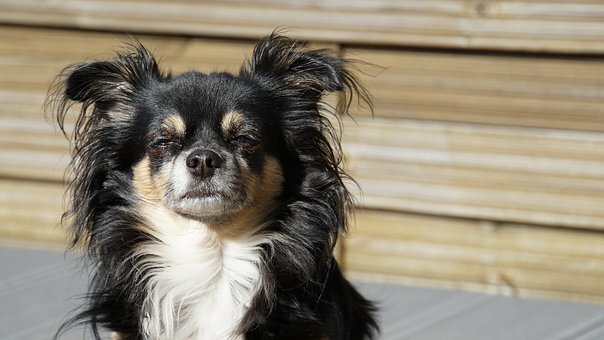 The chihuahuas behavior is in general summed up as a huge personality in a tiny package, so it’s important to know how to care for your chihuahua and train them correctly. Some may wonder how two short haired chihuahuas produced a long haired chihuahua. This is because in the past, breeders have crossed breeds with a few other breeds of small, longer haired dogs which eventually produced a long hair type of chihuahua. After achieving the long hair type, breeders then returned to breeding back with short haired chihuahuas. At times that two short haired chihuahuas produce a long haired chihuahua, it is simply because that somewhere down its lineage has the genes of a long hair type of chihuahua. No matter which chihuahua you have, they should all be cared for and loved for the same as any other member of your family.